Hazara is the third largest ethnic group of the Afghanistan Turk-Mongol race, living in central Afghanistan, once part of Khorasan, an old name of the existing central Afghanistan and some parts of Iran. The Hazaras have lived for centuries in an autonomous status in Hazarajat, literally meaning homeland, in central Afghanistan. Hazara people are also found scattered in other areas of the country in smaller numbers. It is assumed they came to this area from Mongolia with Genghis Khan when he was conquering the Persians in Iran, thus their idiosyncratic facial features are much closed to Mongols. Some of them might have decided to live in this area, therefore over the space of time, they adopted the Persian language and became Shiite Muslims. However many people also claim they were supporters of the Ya’qub ibn al-Layth al-Saffar, who conquered most parts of Khorasan with their support, as they considered Ya’qub a spiritual leader who, taking advantage of this faith, become a warlord and established the Saffarid dynasty in the medieval period of history. There are half a million of the Hazara population in Balochistan, Pakistan, who are largely Shiite Muslims compared to an overwhelmingly Sunni Muslim country like Afghanistan. When they changed their ancestral religion is not yet known, but it is believed they always remained faithful to the Persian rulers and had been called in war time for support. Either way, the Hazara settled in central Afghanistan, though in the mid-19th century their brutal history of persecution began when more than half of their population was killed or forced into exile by the Afghan ruler Amir Abdul Rahman who invaded the Hazara homeland around 1890. Again and before the Taliban rule, a Pashtun Wahabi and Saudi Arabia supported warlord, Abdul Rasul Sayyaf’s militant organisation Ittehad-i-Islami killed thousands of Hazara people in the first government of the Mujahideen in 1993 under the president Burhanuddin Rabbani. The two day cleansing of the Afshar district near Kabul was a brutal example which famously became known as the Afshar Operation, killing thousands including women and children. Many were taken in custody and never returned; thought to have been killed. Sayyaf is an advance degree holder in Islamic religion from Kabul and the Al-Azhar University of Egypt. America’s 9/11 Commission report identified him as a mentor of Khalid Sheikh Mohammed, the alleged mastermind of the twin tower attacks. On his order, his men committed some of the worst civilian massacres in a chaotic period of Afghanistan’s history, particularly against the Hazara Shiite Muslims. Thus they proved their claim and ruthlessly massacred Hazara Shiite Muslims, killing some 8000 Hazara men, women and children in Mazar Sharif city in August 1998. The dead were lying in the streets for weeks before the Taliban allowed their burial due only to the smell and fear of epidemic. The same was repeated in Robatak Pass and the Yakawalang district of Bamyan in Afghanistan, killing thousands of Hazaras in public view. When the women, children and elderly people had taken refuge in a nearby mosque, the Taliban fired a rocket on them killing all 73 people inside. In Pakistan sectarian organisations, in particular the banned Lashkar-e-Jhangvi (LeJ), now announced that they would make Quetta “a graveyard for Shiites.” These sectarian organisations were the brain child of General Zia. The LeJ began working in Quetta, Balochistan around 2000, the new phase of killing Hazara people having increased since then. In recent years the persecution of Hazaras in Quetta has left at least 1300 dead and more than 1500 wounded. The victims include high-profile community members, labourers, women and children. One third of the victims are children. No one has yet been arrested for these murders. The major attacks included the Quetta bombings of January and February 2013, Hazara Pilgrims carnage and other terrorist attacks on Hazara People in Quetta. The LeJ has claimed responsibility for most of these attacks. These kind of events have planted in the minds of the Hazara a terrible apprehension about what the future would hold for them. They are legal citizens of Pakistan. They are law abiding people living and doing hard working jobs, many of them having established shop keeping businesses in Quetta, Karachi, Hyderabad and other parts of Sindh. They live mostly in their own community. 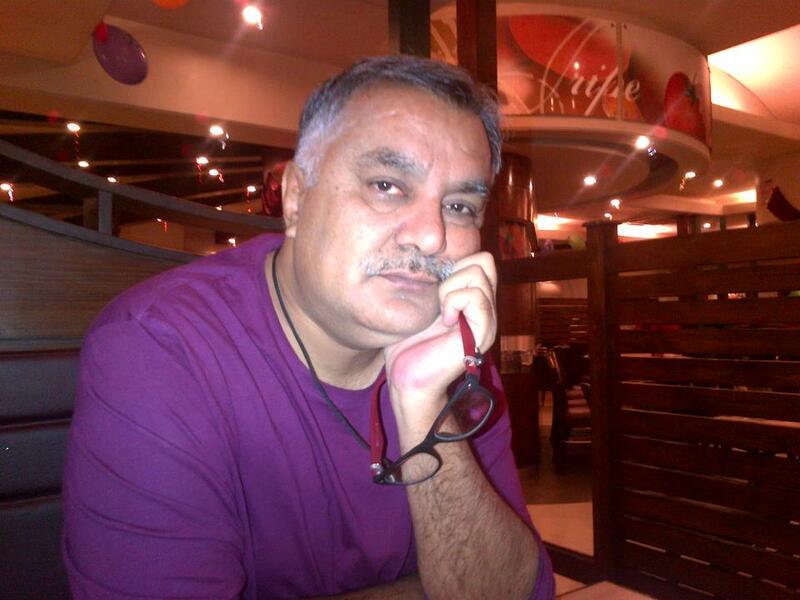 It may also be worth mentioning that one of the Hazara Generals, Musa Khan remained Chief of the Army and lead the war against India in 1965, but even then his son had been killed in Karachi in 1998, having the same Shiite connections. 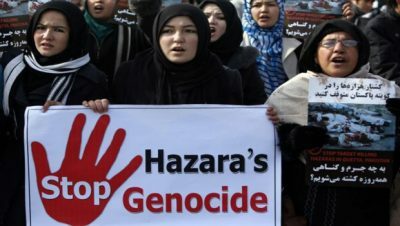 In response to these killings, worldwide demonstrations were held to condemn the persecution of Hazara in Quetta. The Hazara people protested in Pakistan and other countries against such killings and the ensuing silence of the international community. The persecutions have been documented by the UN, Amnesty International and Human Rights Watch, the Human Rights Commission of Pakistan and European Union parliamentarian leaders having urged the international community to address the plight of Hazara people in Quetta, asking their governments to pressure Pakistani authorities concerning the absence of justice for the Hazara community in Pakistan. The liberal and democratic people constantly cry for an end to all of this, but nobody hears. As a consequence of the attacks and the alleged impunity by which they are perpetrated, there has been a recent mass departure of Hazara attempting to flee the violence. They headed mainly to Australia and other western countries, where thousands of them have taken shelter and successfully relocated after obtaining refugee status. To get there, they completed an illegal and treacherous journey across South East Asia through air, land and sea that has already left hundreds dead. When will this genocide of the Hazara come to an end? Nobody knows.